CAMDEN, N.J. – The Camden Health & Athletic Association (CHAA) on Saturday, March 30, hosted a free baseball and softball Skills & Drills Clinic for Camden children in partnership with the Philadelphia Phillies Jr. RBI and RBI (Reviving Baseball in Inner Cities) Leagues. More than 80 children participated in the clinic, which offered boys and girls between the ages of 5 and 16 the opportunity to learn more about the sport and practice fundamentals. 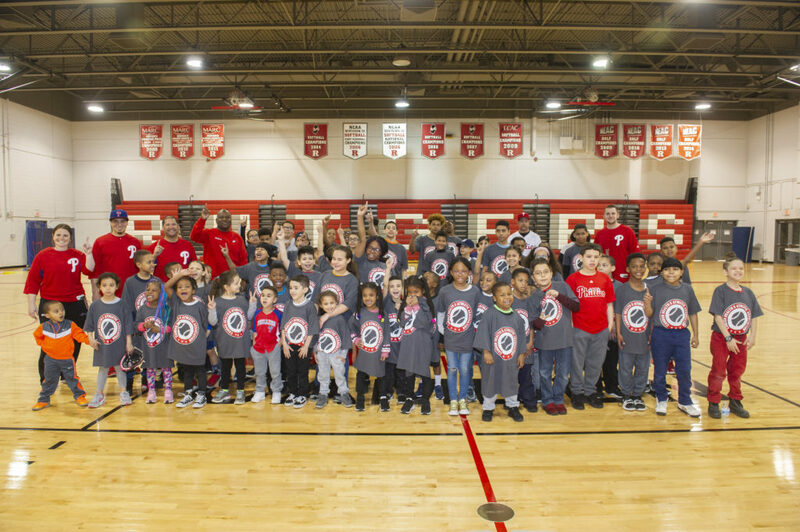 The clinic, held at the Rutgers Camden Gymnasium, featured four play stations including base running, infield drills, outfield drills and hitting. 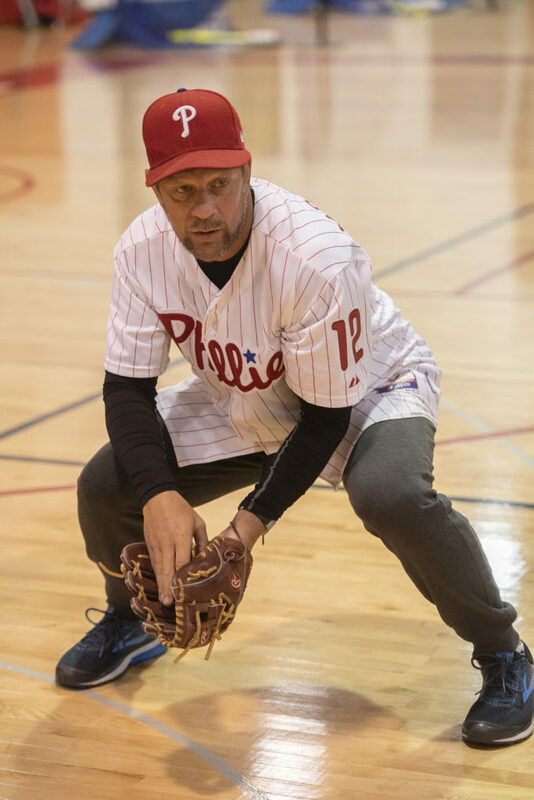 Attendees received pro tips from special guest Mickey Morandini, former All-Star second baseman and coach, who played for the Philadelphia Phillies. In addition to practicing skills, the Phillies Jr. RBI employs a noncompetitive environment where children learn that winning is not the most important aspect of the game. Instead, they are encouraged to learn the rules, proper techniques and to have fun while being a good teammate. The Camden Health & Athletic Association partners with youth athletic organizations in Camden to expand access to sports programs for young residents. At the Clinic, CHAA assisted with registration for the upcoming baseball/softball/tee-ball season with the Centerville Simbas, CYAA, Cramer Hill, Newton Creek, North Camden and Whitman Park programs.